One of the best things about LTE events is not just the presentations, but the panel sessions. These give the audience an opportunity to hear the views of key figures in the industry on a particular topic and it’s always interesting to get to hear the different views and opinions. Here are three short clips from the panel discussion on Day One regarding LTE Advanced. With LTE rollouts progressing well from Verizon, AT&T, MetroPCS, U.S. Cellular and Clearwire, thoughts are already turning to what’s next. In part one we have we have Krish Prabhu, CTO of AT&T labs, Jesse Hurwitz, global strategy mobile platforms at Google, Daniel Lönnblad, director of technology, Sony Mobile and Ahmad Armand, Staff VP LTE, MetroPCS, with the session moderated by Alan Quayle of Alan Quayle Business & Service Development. Ahmad Armand of Metro PCS notes that to one of the features of LTE Advanced is its support for 8×8 MIMO, but this will require devices with more antennas. He notes that admittedly only larger devices such as tablets are likely to actually be able to feature this. In part two the simple question is once we get LTE Advanced – “Is DSL dead”. For more videos from key speakers at LTE North America 2012 be sure to check out our LTE World Series YouTube channel. If there was any proof that what smartphone users really, really want is LTE then the exciting story of the Google Nexus Phone and the Phantom LTE chip should put paid to that. When Google released its latest smartphone, the Nexus 4, all and sundry were duly shocked and surprised to find that it lacked LTE support. This truly was unexpected, as all recent flagship smartphone releases, such as the Samsung Galaxy SIII and the iPhone 5 have featured LTE support. Google’s explanation for this, delivered by Android head honcho Andy Rubin, was that it was a ‘tactical issue’, which of course means nothing. He also cited cost and battery life concerns but the most likely suggestion for the omission that I have seen is that if Google included LTE that it would not have had to do deals with the carriers in the US to get onto their network, and that would have prevented it from selling the phone unlocked in its own online store – which would essentially defeat the purpose of having a Google branded phone, and eat into its revenue. However, it turned out that while LTE was not on the list, it had still gatecrashed the party. iFixit, a web site that loves its teardowns, where a gadget is taken apart to find out what lurks within, discovered that there was indeed, an LTE chip nestling inside the LG manufactured phone. So why was it not turned on? In other words it was cheaper for LG to leave the LTE chip in there than use a different chipset sans LTE. The reason it could not be activated LG said was the LTE requires a dedicated antenna and filter to operate correctly for each frequency. This is what adds, bulk, cost and complexity to smartphones and one of the reasons why not all bands can be supported. That seemed to be the end of that, until it turns out that some crafty people had managed to get that LTE chip to do its thing using some software tweaks. Users on the XDA developers forum (or in other words – hackers!) discovered a settings menu that enables them to turn on the LTE- and lo and behold it worked. So is this affordable LTE for everyone? (The Nexus 4 only costs around £250, compared to £600 for an iPhone 5). Well, not for everyone. The hardware only supports Band 4, which is 2110MHz for the downlink and 1710MHz for the uplink. The only operator that use that is Telus in Canada, which is great for them, but not much use anywhere else. (See missing antenna’s and filters mentioned earlier). It’s interesting though, as it reveals how politics, control and money can affect how devices and gadgets are implemented. It also demonstrates that ‘old skool’ hackery is alive and well. We are in the ‘post-PC era’ and mobile phones, particularly if they are running Android, are like PCs ‘back in the day’ – intriguing, powerful, and eminently hackable. The intense UK media coverage around Everything Everywhere’s (EE) LTE service launch could have fooled people into thinking it was the first launch of its kind. There are, in fact, a total of 113 operators with live networks across 51 countries, according to the Global Mobile Suppliers Association. EE is trailblazing a new path for the UK mobile industry, but this route is not without its controversies and challenges. Bengt Nordstrom, co-founder and CEO of strategic wireless business consultancy Northstream, discusses the UK’s first LTE network launch and whether EE’s gamble to go early will pay off. The UK regulator Ofcom, much to the consternation of rival operators, allowed EE to re-farm its 1800MHz spectrum to launch LTE services in October. However, prior to this, the regulator had earned widespread condemnation for displaying a lack of leadership in allowing the UK operator community to constantly appeal its decisions. This led to massive delays in the UK spectrum auctions taking place; which in turn has prevented commercial LTE service availability and left the UK trailing its European neighbours. However, the UK is now catching up, with its first live LTE network. More are now set to follow, with the news that Ofcom will auction LTE spectrum licences, at a reserve of £1.3 billion. It is likely that the auctions will raise three of four times this amount of money. A staggering amount given the state of the global economy; and considering how energised the UK Government appear to be regarding LTE deployment. It seems an enigma why regulators make sense of taxing operators who are prepared to build out critical mobile infrastructure. Despite the cost, these auctions will have the positive outcome that Vodafone, O2 and 3UK will now get their chance to launch LTE. At the moment though a marketing war has erupted – in which EE’s rivals scramble to differentiate themselves and retain their subscribers. For example, Vodafone has launched a £4.5m national newspaper campaign with the tagline “not all 4G networks are the same”; claiming that Vodafone’s signal will travel “further into your home” and is the only mobile network to “own a nationwide fibre backbone”. A war of words is one thing, but it will be difficult for competitors to respond to EE’s latest move. Although UK 4G coverage is currently limited there is a genuine buzz among consumers about LTE, following the huge amount of publicity it has received. LTE is the service subscribers are keen on; and EE is offering that now. The reality is that operators will not have a fitting response to EE’s LTE offering, until they deploy LTE themselves next year. EE’s 24 month LTE tariffs, ranging from £36 for 500MB up to £56 for 8GB, have drawn criticism on price and how much data they provide. Downloading a one hour programme on BBC’s iPlayer consumes roughly half the 500MB data allowance the lowest priced EE plan offers. It is commonplace for the first mover in the market to have the advantage. EE has done this by setting the bar high on its LTE tariff plans. However, this premium period should only last a short time. There will be a decline in LTE price plans as other operators enter the market. EE may potentially make an early move to lower prices as they seek to control the market as Vodafone, O2 and 3UK plan their entry. Higher prices for LTE won’t trouble the initial audience; predominantly early adopters and corporate subscribers. There is also a huge market for LTE USB dongles. EE’s dongle tariffs start at £15.99 for 2GB, up to £25.99 for 5GB, and the device is available from free up to £49.99. This is an attractive alternative to ADSL from fixed line providers. Especially for residents of semi-rural areas who suffer slow speeds as they are far away from the switch. Young professionals living in shared accommodation will also find LTE dongles an easy, convenient and cost effective way to get online. This is a market in which EE can really outperform and provide challenging competition to fixed line players. Traditional telcos would have to deploy an increased amount of fibre to compete with LTE coverage; making it very costly for them to stay in touching distance of EE. But deploying LTE does pose some technical challenges; and one of the biggest is backhaul. Fibre to the base stations is required to ensure they leverage LTE’s throughput capabilities. EE will need a lot of lead time to deploy fibre; and it is not an easily available off-the-shelf product. WiFi, a rapidly maturing and familiar technology, is not perfect, but could plug coverage gaps and be a solid foil for EE and its macro LTE network. The other challenge is one that is unique to LTE over 1800MHz – limited indoor coverage. An 1800MHz base station grid just doesn’t penetrate buildings as well. It will be important for EE to deal with this issue as the majority of smartphone usage occurs indoors. Deploying base stations in buildings is not practical or affordable. Small cells remain a remote concept and a great deal more unrealistic than many perceive. Their unit cost, and the amount required, makes them increasingly unviable solution for operators. In order to provide a good user experience EE needs the combination of 1800MHz and 800MHz; with LTE deployed over 800MHz for better indoor coverage. It will take time for EE’s LTE network to mature, but there was no reason it took such a long time to launch LTE in the UK. However, the country has not suffered due to the delay. Now 4G is live, the UK has a good chance of reaching the level the rest of Europe is at by 2014. But for a market with such a long tradition of being influential in mobile, the UK’s LTE delay has certainly dented its prestige. Bengt co-founded Northstream in 1998 and has been its CEO ever since. 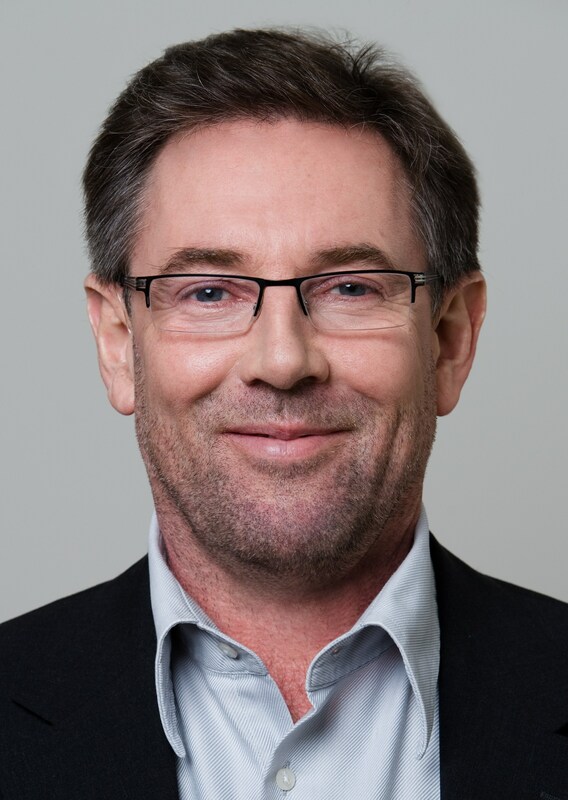 Prior to founding Northsream, Bengt held the position of CTO and Executive Director of Smartone in Hong Kong. Other management positions include Ericsson, Comviq and Netcom consultants. Bengt has also held been on the Executive Committee of the GSM Association as well as chairing its Asia Pacific Interest Group. Pricing strategies will be a major focus of the LTE World Summit, taking place on the 24th – 26th June 2013 at the Amsterdam RAI, Netherlands. Click here to pre-register for the event. This post is by Tony Brown, senior analyst with Informa Telecoms & Media covering the broadband and internet industries in Asia Pacific. Nonetheless, the suspicion still lingers in conservative circles that something is not quite kosher, the booming device eco-system of smartphones and tablets convincing many of them that “wireless is the future” and that the boring, expensive fixed-broadband NBN was a scandalous waste of money from a profligate, socialist (if not downright communist) government. Those figures tell a worrying story for NTT, which has spent a huge amount on deploying its nationwide FTTH infrastructure but now sees FTTH subscriber growth slowing markedly across the board, with rival FTTH firms also seeing similar slowdowns in their own FTTH subscriber take-up – hence the whopping 34% price cut. The irony of slowing FTTH subscriber growth in Japan and the rise of LTE is that it comes at a time when DoCoMo has actually significantly rationalised its mobile broadband pricing, sweeping away the old all-you-can-eat era with a cheapest price of ¥4,935 (US$60) per month for just 3GB of data – albeit at potential super-fast LTE download speeds of 75Mbps. Of course, when Japan’s LTE networks start getting more congested we might see some of the FTTH ‘refuseniks’ come back to the fold and FTTH take-up might begin to rise again – but that is no sure bet, especially if operators manage to make Wi-Fi offloading seamless and therefore reduce LTE traffic congestion in high demand network areas. Premium 4G Carrier Networking drives Massive LTE Event Growth! Last week, LTE North America reaffirmed itself as North America’s premier networking event for the 4G community as it welcomed a record-breaking 1,000 visitors at the Fairmont Dallas Hotel, a 66% growth in attendees since 2011. Renowned for attracting a high quality audience, LTE North America once again drew great interest from the mobile carrier community with an impressive 40% of attendees representing carriers. Delegates enjoyed priceless, practical content and proven expertise from 150 speakers presented across the three days including CxOs from North America’s leading carriers. The keynote panel discussion on Day 2 was a particular highlight for many as Google, AT&T, MetroPCS, and Sony Mobile joined together to discuss and debate how to ensure effective collaboration to realise the benefits of LTE. LTE North America played centre stage for 50+ leading LTE exhibitors as they showcased their latest products and solutions and generated hundreds of new business prospects. The exhibition floor was a hub of networking as sponsors and exhibitors hosted back-to-back meetings with targeted, senior-level decision makers, and made use of the meeting rooms and dedicated networking zones. 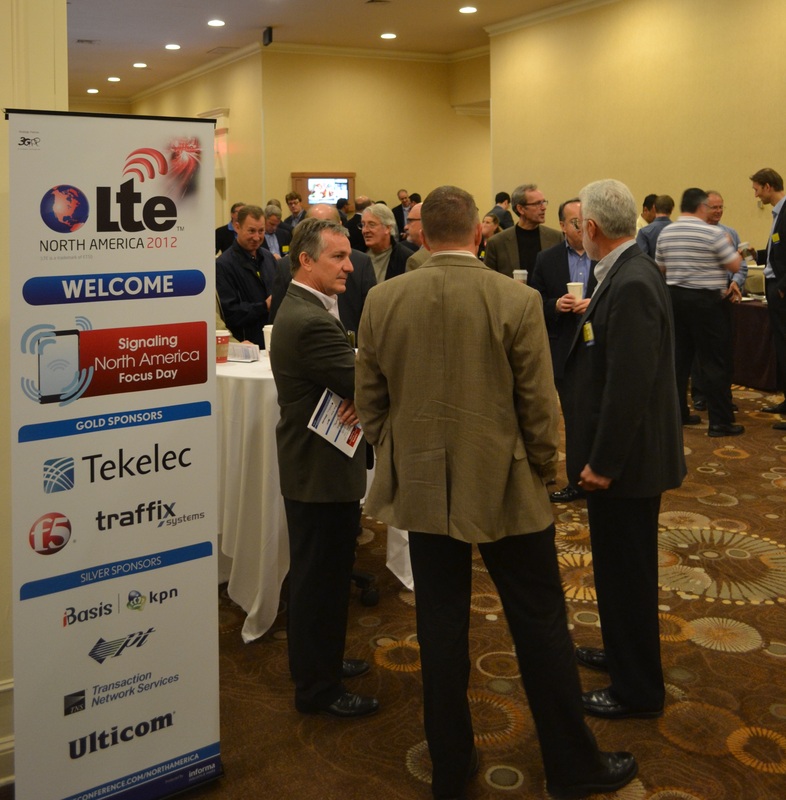 Organisers of LTE North America have confirmed that the dates for next year’s event are 20 – 21 November 2013 and will once again take place in the telecommunications hub of Dallas, Texas. 2013 is set to be equally as exciting as the event builds on this year’s impressive speaker line-up which included C-level executives from Google, Clearwire, AT&T, US Cellular and News360. For more information, please visit http://americas.lteconference.com/ or call +44 (0) 20 7017 5506. Alternatively, keep up to date with the event on Twitter using the #LTENA hash tag to gain sneak previews ahead of 2013’s conference and exhibition. What it indicates to me is that today data is the new oil, the fuel that powers economies worldwide as much, or even more so, than the viscous black liquid that J.R Ewing, (and now his sons) obsesses over. Spectrum is the new black. Dallas, is the perfect location then, for the LTE North America conference, where over the past few days a fine succession of speakers, panellists and analysts have informed, educated and even at times entertained – though admittedly not usually deliberately for the latter. Over 1,00 attendees have filled the halls and the tracks (66% up from 2011), and walking around I’ve heard from many people how impressed they have been with the quality of the show, in terms of content and of networking opportunities. Speed networking proved to be a particular favourite! Back to the opening keynote of Day Two and AT&T’s Krish Prabhu, Prabhu, in perhaps a slightly self-congratulatory tone, said that the industry, or perhaps he meant just AT&T, had done a good job of going from that standing start of carrying virtually no data traffic, to meeting the demands of the myriad American football fans who wants to upload picture from the Dallas Cowboy’s stadium during a game. This was made possible through AT&T’s investments such as portable antennas that could be moved into areas such as stadiums as required. Prabhu said that only recently these were used during the Democratic convention in North Carolina and with tongue firmly in cheek, he said that AT&T liked to think that this was one of the reasons why the Democrats won. Prabhu revealed that over that last five years, AT&T had spent over $90billion on wireless and spectrum to improve the quality of the network. (A tremendous amount – those Dallas Cowboys pictures had better be good) and that with its well publicised Velocity IP investments, AT&T would complete its LTE coverage by the end of 2014 covering some 300m of the population. Small cells would increase in number through 2013 and 2014 but would be tricky to deploy. SON had been a success for the network so far, and he claimed that it has resulted in a significant improvement in the network. AT&T had measured a reduction in dropped calls by 10 per cent, retention of 3G traffic by the same amount and 15 per cent fewer loaded cells. Asking the audience if they had noticed this improvement amusingly failed to be matched by a show of hands, leading Prabhu to suggest, again tongue-in-cheek, that perhaps AT&T’s measurements could be wrong. The panel also felt that RCS had a good chance to succeed – and could become Telecoms 2.0. It was agreed that the convenience that you don’t need to download an app or a client could help it succeed, as long as it was backed with a decent UI and that it always works. The positivity on the panel towards the potential for future success was epitomised most definitively by Prabhu who when asked to respond with a positive or negative to the question, “Will customers still pay for voice and SMS in five years”, responded, “Hope so!” Now there’s optimism. 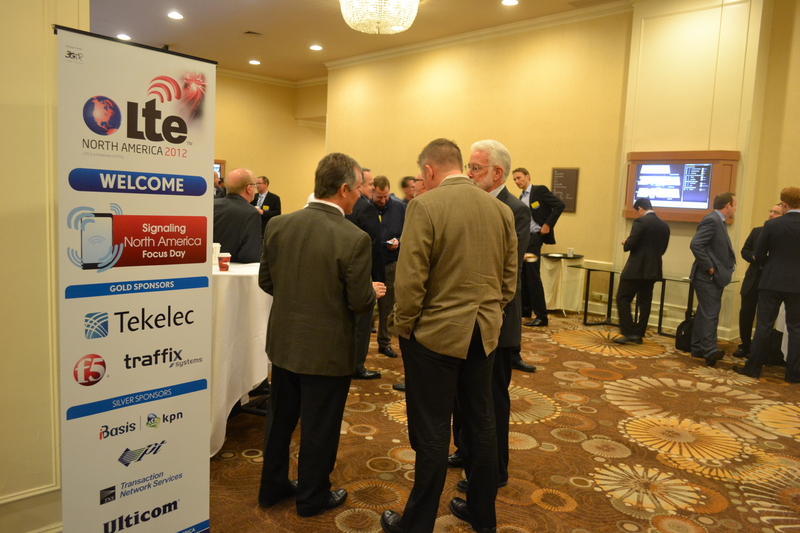 So as the curtain falls on a highly successful LTE North America we can look forward to the next event in the busy LTE calendar, LTE Latin America, on 16th-17th April 2013, in what is again a fast growing market and we’ll see you all back here again next year for LTE North America in Dallas. As some may know, next year the LTE North America will be moving to a new home in Dallas. Judging from the size of the crowd at the opening keynote of the LTE north America conference that’s going to be a necessary. It was standing-room only by the time Informa’s principal analyst Mike Roberts opening proceedings and things were busy throughout the day. There was a record 800+ delegates at the show, with 60 unique carriers in attendance from across the US representing some 40 per cent of the US carrier market, from small local rural players such as the Texas-based ZIPnet US, to regional’s such as MetroPCS, and of course, AT&T and Verizon. Mike Roberts got things going by giving a snapshot of LTE’s growth, with just a few subscriptions in 2010, reaching 5 million in 2011 and currently standing at 40 million worldwide, making it the fastest growing telecoms technology ever. Roberts had praise for vendors who he said had learned from the mistakes made over 3G. In particular the networks had shown they were good at delivering speed, but that there was room for improvement when it comes to pricing, with a need to show more sophistication. The first of two keynotes were delivered by John Saw, CTO of Clearwire, who detailed how the network operator had 16,000 cell sites to support 11million users, most of which are for Sprint. Saw explained that Clearwire was very pleased with its use of TDD technology and that the eco-system had received a huge boost when China Mobile, the largest operator in the world, recently announced that it would, like Clearwire, use Band 41 as its preferred band. [N.B. Representatives of John Saw would like me to add that Band-41 for TDD-LTE will be used by almost all the Chinese wireless industry]. Saw also said that video was pretty much the biggest game in town as far as killer apps for 4G was concerned, with its taking up 60 per cent of Clearwire’s capacity, up from 50 per cent the year before. In fact, mobile video was where it felt it could differentiate itself – by providing a better mobile video experience than other networks. Video is very bandwidth intensive and that can only be made possible if you’ve got plenty of spectrum to play with – as Clearwire does. Tom Sawanbori, vp of Network planning at Verizon was next up and he was equally bullish about how the company had done for LTE – which is fair enough as it is flying the flag for LTE worldwide. That’s because it started earliest in the US, rolling out LTE to 100m population coverage in 2010. Sawanbori revealed that 35 per cent of its total usage was LTE already. It plans to complete its LTE rollout by the end of 2013 by which time it will have covered 245m population. It’s working hard on VoLTE and RCS services Sawanbori said, but he wouldn’t be drawn on timescales for its introduction. Sawanbori took a moment away from technology to mention that Verizon had done well during the hurricane Sandy disaster by having an effective backup strategy so that its network did not go down to any major degree. Verizon is also a partner with many rural carriers as part of its LTE Rural America programme. While the program has brought LTE to many rural areas, during a track on the issues later in the say, some smaller carriers expressed frustration that there was not enough access to spectrum. However, it’s not just access to spectrum but usable spectrum that’s the issue. It seems that all 700Mhz is not the same, and if the band plan doesn’t match that of the national networks there’s no possibility of roaming, which can seriously dent a small carrier’s 4G plans. And with no economy of scale to help get supporting devices on the table, duff spectrum can arguably be as bad as no spectrum. We also heard an interesting presentation from Marc Scala, Executive Director of Simplynew describing an innovative use of second screen functions and audience participation of an exclusive Verizon tablet app for the X-Factor, that displayed video during the add breaks and enabling Verizon customers to send messages to the that would then be integrated into the show. This is a taster of the sort of innovative services that LTE can bring. There were also interesting discussion around mobile video in a panel session where Marc Zionts, vp of strategic mobile service providers for Allot Communications suggested that data plans need to become more innovative – so instead of just a 2GB data cap, you say, get 2GB as standard but 5GB if you don’t use video at peak hours – a way of avoiding the stop start nature of suing data plans at the beginning of the month till they run out, and then starting the process all over again, the next month. These were just taster of the many tracks and discussions that were going on all over the conference, and Day Two should promise to be just as informative. I have been glued to the news around Hurricane Sandy. Though I’ve lived abroad for many years, I will always consider myself a New Yorker. My son lives near the East River in Brooklyn and is lucky to reside in a modern building with generator backups. The generators worked when started, since this was a new and green-friendly building, but backup generator systems without proper maintenance and monitoring are known to have high start failure rates. Generator start failure has been a problem during the Sandy aftermath. I tried to call my son after Sandy hit, but cellular service was down in many areas. As the grid power outage continued, more cellular service became compromised. Seeing this and knowing what is possible raises the question: what lessons can we take from larger-site, emerging-market deployments in remote regions? PowerOasis has been mainly focused on getting Managed Telecommunication Power solutions to remote sites in emerging markets. The drive for power autonomy is a necessity in many regions that don’t have grids. Getting diesel fuel to remote sites, which requires a long march up mountains in some cases, is extremely costly. This “fuels” the need for power efficiency in diesel generation with hybrid battery systems and with the application of renewable energy sources such as solar and wind. In some cases we see the use of the latest technologies, such as Fuel Cell systems, driven by a need to mitigate local diesel fuel theft rather than environmental concern. Fuel theft remains a clear and expensive problem for many remote sites. Even with legacy equipment, immediate improvements in establishing a reliable, grid-autonomy system can be achieved today. A lot of power systems have been put in place as an assumed utility without attention to centralized command and control. Diesel Generator Backup, if you make sure they are ready when you need them, can lead to immediate improvement in backup capability. At the same time, getting the data on what these systems are doing will allow the operator to know the total power status of the network. With this data and new deployment and network upgrades, a Holistic Power Managed view can be applied, thus leading to both OPEX and Carbon Emission reduction and a robust mobile infrastructure. The East Coast has not seen a natural disaster of Sandy’s scope in over 100 years. The shock to the system created by recent events has necessitated a focus on immediate recovery. Moving forward, we all must look at what can be done to implement needed changes that promote grid stability in future disasters. To learn more about Intelligent Power Management, you can attend my speech at LTE North America on November 15th at 2:50 pm or visit me at Telmar Network Technology‘s Booth, # 26. The LTE North America conference started as all good conferences do – with a Day Zero, a pre-conference day – this one providing an update on the crucial issue of signaling. But this was no zero-sum game – the packed conference room was treated to a day packed with speakers providing in-depth insights and discussion on one of the major issues facing mobile operators today. 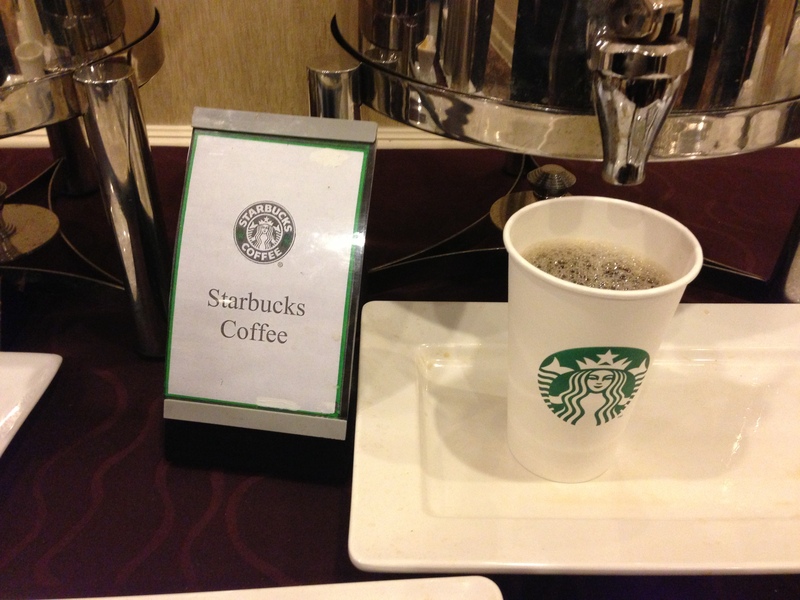 There were numerous in depth presentations, interspersed with useful networking breaks and delegates were fuelled by Starbucks coffee, which certainly went down well. The key buzzword of the day was “chatty apps” – applications that talk to the network too often and how to optimise the network with regards to signaling was one of the key themes of the day. Things started with Chetan Sharma, president of Sharma Consulting providing an overview of the mobile landscape. There are currently 10 billion connected devices worldwide he revealed and 70 per cent of these are mobile, due to the rise and rise of the smartphone, and its associate, the connected tablet. “Feature phones will soon disappear, at least in the American market,” he said. Sharma’s figures showing that there were 152 commercial LTE networks across 65 countries in 2012, confirming what we already knew – LTE is the fastest growing mobile technology ever, while voice and messaging are both declining having peaked in western markets in 2007 and are now declining even in developing markets such as China. Because of this operators are facing a steep decline in revenue, but all the while, LTE is becoming an ever friendlier home for apps, which have a huge impact on signaling traffic. However, Sharma said that networks have no excuse to be surprised the signaling tsunami that started after the introduction of the smartphone in 2007. “Getting blind-sided is no longer a good excuse”. The solution was to look to what Sharma referred to as, “4th wave revenues”- new sources of income that are adjacent to a network’s core competency such as in home security, eHealth and M2M. In a panel discussion Eric Neitzel, lead engineer and DMTS at U.S. Cellular said that networks were yet to see a signaling tsunami hit core networks as operators have yet to implement VoLTE and RCS so that relatively the transactions going on were light in nature. 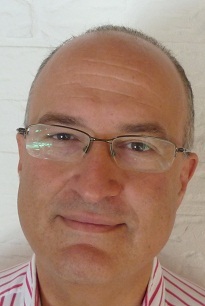 He observed that networks had pushed back their VoLTE deployments as they are learning that implementing these are a “big learning curve.” Scott Yagel, product management and marketing at Developing Solutions said that the industry has underestimated the policy and billing issues associated with implementing RCS services. 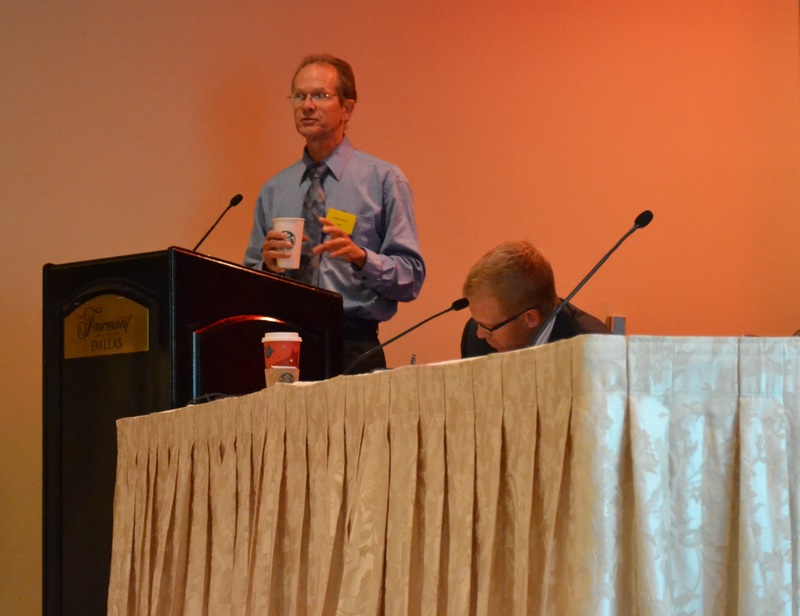 One of the most interesting talks of the day came from Randy Wohlert, lead member of technical staff at AT&T. He observed that presence was the new dial tone, with knowing the status of a user and what services were available to connect with them as the mark of a useful network. He also noted that standard applications were incredibly inefficient when it comes to signaling and that networks could use their knowledge of user behaviour to reduce signaling across the core network by as much as 95 per cent. This could come through using RCS services and employing smart algorithms that are aware of with whom a user most frequently communicates. He said that research has shown that if a user has 150 social connections on average most of these are weak ties and that 80-90 per cent of communication is between 2-6 people. In addition, usage was ‘diurnal’ – a pattern of frequent usage during the day, giving a lot of scope for signaling optimisation. Jason Emery, director of product marketing at Tekelec countered that US operators should learn from the European experience and work together with OTTs. “Instead of the parasite killing the host, the two should become partners and come together to create revenue streams so that they can both survive”. With the level of debate and discussion on show on Day Zero, the event itself should prove to be very interesting and informative. Top of a Mobile Network Operator’s (MNO) agenda in recent years has been how to develop a long-term strategy to grow through data and rich media services. While their focus is on data and rich media MNOs should not turn their backs on what was once the ‘bread and butter’ of their revenue streams – voice services. Voice remains a core revenue generator with the market for wireless voice services still standing at more than $600billion1, which represents some 70 per cent of global wireless revenue. The fact is people still want to talk, and operators are using voice as a strategic asset that can be leveraged as part of a richer suite of communication services. For voice to generate more revenue than it already does, MNOs must exploit the IP technology it has in place. Currently, voice services are undergoing a major transformation and voice traffic will continue to rapidly evolve from circuit switched voice in 2G and 3G networks, towards launching carrier-grade VoLTE. For example, this year we saw the first commercial VoLTE service launch by Metro PCS in the US and we can expect to see many more VoLTE services rolled out across 2013. The step to VoLTE opens the door to provide additional carrier grade services that can easily interact with voice and will provide new and innovative communications experiences for the subscribers. But the journey towards greater voice revenue streams for MNOs does not end at VoLTE, as really VoLTE is just one step towards an all-IP connected mobile world. No longer is communications segmented and separated by device, location and geography. Users are increasingly looking to take their communications experience to a new level where communications extend across phones and tablets with simultaneous logins, one number support and a common user experience no matter how they are connected. To achieve this, MNOs will need to go to the next level – RCS-e, and eventually Rich Communication Suite version 5 (RCS5). Following the endorsement by five MNO groups (Deutsche Telecom, Orange, Telecom Italia, Telefonica, and Vodafone), and the recent launch by MetroPCS to become the first 4G LTE mobile service provider to launch RCS, it has now become the de-facto standard of reference. RCS-e provides a basic and simplified set of services, whereas RCS5 is an architecture that will enable true network packet-switched convergence for all messaging and voice services. An all-IP connected mobile world is the future for MNOs and the deployment of RCS-e and RCS5 will be critical in reaching that goal. With data and rich media services and discussion about VoLTE dominating the conversation, the heavy investment in packet-based data infrastructure is about to pay out for MNOs. In the all-IP connected mobile world, converged voice, video and messaging (RCS5) will be pivotal to the new generation of mobile communications. Industry Outlook Session- This cocktail reception on Tuesday 13th November from 6pm-8pm is led by thought leaders from the Informa Telecoms & Media analyst team. It is a unique opportunity to network and discuss telecoms innovation challenges and opportunities with senior executives from across the telecoms industry. Interactive Analyst Breakfast Briefing Session- Kicking off the conference on Wednesday 14th November at 8am will be the unmissable Analyst Breakfast Briefing Session. Gain first-hand information on what is happening in the North American LTE market and meet the industry experts. Telecoms.com LTE North America Awards- Hosted on the eve of Day 1 of LTE North America (14th) and culminating in a gala dinner, the awards provide a glamorous night out and the perfect evening to reward your team or entertain clients. Here you will have the chance to network with senior LTE professionals from the finalist companies including Alcatel-Lucent, Cisco, F5 Traffix, Gemalto, MetroPCS, Nokia Siemens Networks, Tekelec…and many more! Get your ticket at the registration desk! Expo Hall– the exhibition hall is going to be buzzing with activity this year with 60+ exhibitors showcasing their innovative products and solutions, dedicated networking zones, a meeting room village, a games area, a press and media zone and a competition to win a trip for two to New Zealand courtesy of Tekron- make sure you check out the show floor! 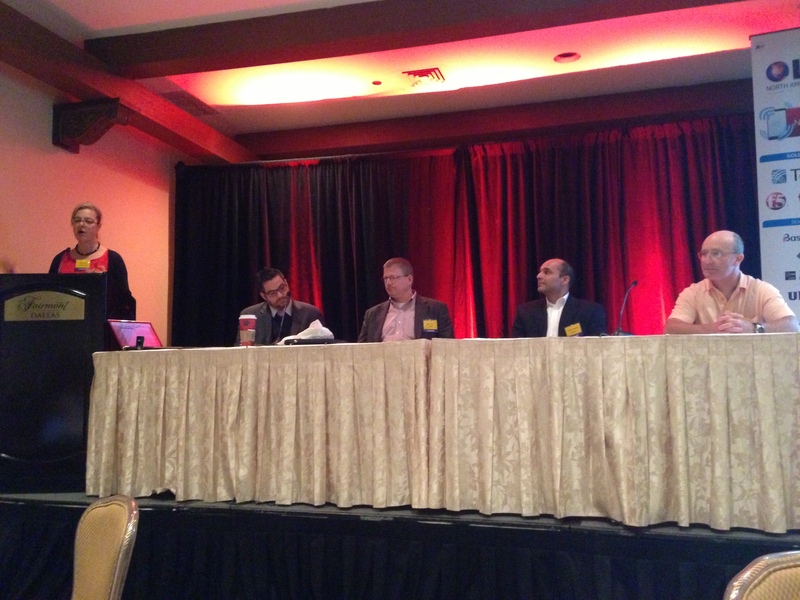 LTE Carrier Mind Share– Day 2 of LTE North America begins with an interactive carrier mind share session. Gain invaluable insights from high-level executives and interactively exchange your views and rack up debate on some of the hottest issues affecting the region. Analyst Clinic- This is an exclusive opportunity to have one-on-one consultancy-type sessions with some of the leading analysts in the mobile broadband sphere. Taking place on the exhibition floor during the lunch and afternoon networking breaks of Day 2, the clinic offers you the unique chance to discuss the challenges facing your organisation and benefit from hearing personalised advice on how these can effectively be overcome. With the city slogan ‘Live large. Think big’ Dallas certainly has a lot to offer visitors. The West End Historic District and Marketplace boasts a festive mix of restaurants, nightclubs, boutiques and street entertainers. Fair Park- a National Historic Landmark- attracts a crowd of nearly three million annually at the State Fair. For history buffs, The Sixth Floor Museum is an exhibit dedicated to the life and death of President John F. Kennedy. Cultural highlights include the Dallas Symphony, the Dallas Museum of Art and the Dallas Zoo. Sports fans have plenty to get excited about with the Cowboys, Rangers, Stars and Mavericks. The Dallas Area Rapid Transit (DART) makes it easy for visitors to get to their favourite destinations. LTE North America will take place at the Fairmont Dallas Hotel, Dallas, Texas on 14-15 November 2012. To plan your visit, to view the full event programme, or to register for the event, then please visit http://americas.lteconference.com/ or call +44 (0) 20 7017 5506. Please note that registration is free for carriers. Alternatively, keep up to date with the event on Twitter using the #LTENA hash tag. The premium networking event for the North American 4G LTE community, LTE North America, is experiencing record pre-show visitor registrations and exhibitor figures, hitting close to 900, as the industry, its leaders and influencers turn their attention towards the opening day on 14 November. Based in the Fairmont Dallas Hotel, Dallas, Texas, LTE North America brings together industry leaders for an unparalleled breadth of discussion focusing on the future of mobile broadband. Witnessing a staggering 77 per cent attendee growth over past two years alone, and with an impressive speaker line-up, that includes Verizon, AT&T, Sprint, Clearwire, US Cellular, News360, Truphone, Google and MetroPCS, the event plays a central role for many regional carriers and promises to be the best yet. The opening day (14 November) will also play host to the Telecoms.com LTE North America Awards, which are now in their third year and celebrate the triumphs and innovations of North America’s LTE marketplace. The awards ensure global and industry-respected recognition for those who are shortlisted, including CellMax Technologies, Openet, Novatel Wireless, RAD Data Communications and Tekelec. LTE North America will take place at the Fairmont Dallas Hotel, Dallas, Texas on 14-15 November 2012. To plan your visit, to view the full event programme, or to register for the event, then please visit http://americas.lteconference.com/ or call +44 (0) 20 7017 5506. Please note that registration is free for carriers. Alternatively, keep up to date with the event on Twitter using the #LTENA hash tag. Looking ahead to 2013, the event will take place on 20-21 November 2013. 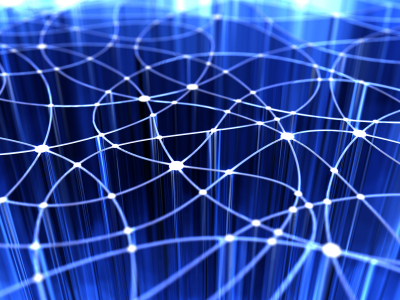 Wireless in 5-10 Years: How Will Network Architectures Look? Why this order? Because content providers and handset manufacturers are the most profitable, empowering them to have more influence over the networks of tomorrow. Thus, the choice of network technology standards (such as LTE) will be driven by device manufacturers and not solely by infrastructure OEMs and operators. This likelihood is supported by how AT&T is accelerating its LTE deployments today, Verizon’s migration from CDMA to LTE, and Sprint’s abandonment of WiMAX for LTE. The content and devices are increasingly impacting how operators evolve their wireless networks. Content providers typically want to sell information, advertising, and content to anyone, anywhere. Therefore, mobile applications will impose new requirements on the network architecture. Since mobiles likely won’t have adequate storage or processing capabilities to address newer applications, cloud-based storage and applications will become the norm. Content providers will want to provide wired backhaul (fibre and/or copper) as close as they can to the end user. The challenge for the wireless infrastructure vendor then is to move this content from the backhaul to the mobile user. I don’t believe a single wireless channel will ever have adequate capacity to support the full range of intended applications. For example, 10 MHz LTE can only provide 75Mbps (peak) for all users. Therefore, data aggregation over multiple channels (Wi-Fi and LTE, licensed and unlicensed) will likely become the norm. Hence the base stations of tomorrow will need to aggregate data across multiple paths and transfer seamlessly to the mobile. Innovations will be required to manage the quality of service and delays across such implementations. LTE will become the norm since most new mobile devices such as smartphones and tablets support LTE. 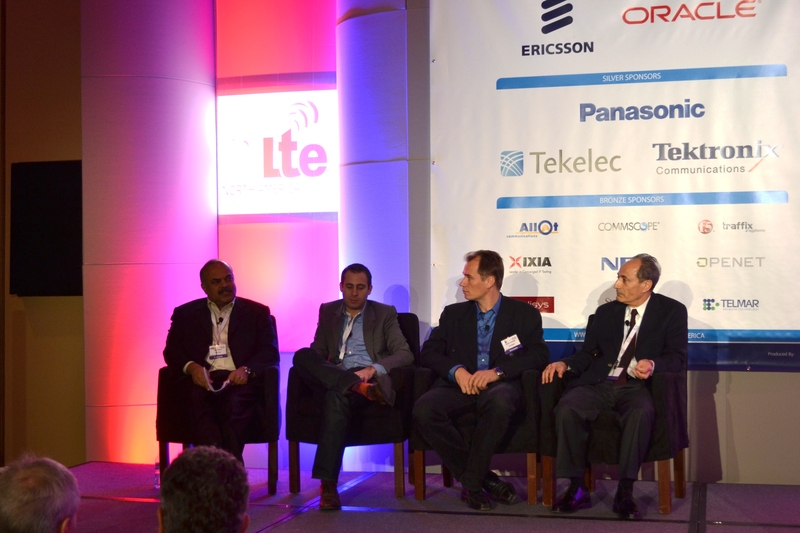 Attend LTE North America 2012 to hear from the leading US carriers including AT&T, MetroPCS, Verizon, US.Cellular, T-Mobile USA and Clearwire. To see the full speaker line up click here. The conference is on the 14-15th November 2012 at the Fairmont Dallas Hotel, Texas. Click here to download the full conference program. Ahead of the LTE North America show next week on 14-15 November at the Fairmont Dallas Hotel, Texas, we speak with one of the leading US carriers about its LTE progress. 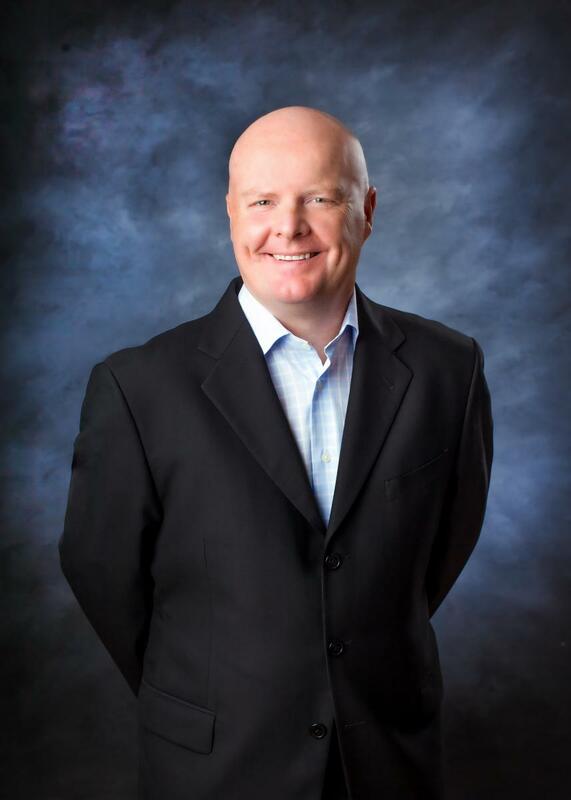 Stephen Bye is the CTO and vice president of technology development & strategy for Sprint, the third largest carrier in the US. He gives us details on Sprint’s progress on LTE and how it continues to differentiate itself from its rivals. What have been the main developments for you over the last six months with regards to LTE? Our focus continues to be on improving the customer experience by modernising the network through the Network Vision program. We are utilizing the 800MHz and 1900MHz spectrum for enhanced CDMA coverage and performance with support for LTE. Our recent launch of LTE has been the culmination of substantial development over many months by many teams within Sprint and working together with our key strategic vendors: Ericsson, Alcatel-Lucent and Samsung. Sprint launched 4G LTE in more than fifteen cities including Atlanta, Dallas, Houston, Kansas City and San Antonio. We expect to bring approximately 12,000 Network Vision sites on air by the end of 2012 and to complete the majority of the roll-out in 2013. In addition, Sprint launched its first four 4G LTE smartphones: Galaxy Nexus, LG Viper 4G LTE, HTC EVO 4G LTE and Samsung Galaxy S III and announced the upcoming Motorola Photon Q 4G LTE. With 10MHz of bandwidth for LTE how long do you think you can remain committed to unlimited data? Sprint is the only US. national wireless carrier to offer truly unlimited data for smartphones while on the Sprint network with no throttling and no overages. We feel that this offer is what our customers are looking for – simplicity, convenience and great value. These plans have been very successful, and we expect to continue to offer them to customers. Sprint has no current plans to offer tiered data pricing for smartphones. In addition, we are the only U.S. national postpaid carrier with an unlimited data plan for the iPhone. How else do you feel you can differentiate yourselves from the larger players in the market? Our focus is on our customers and we walk the talk – it is all about customer experience. For several years now, improving the customer experience has been one of three primary areas of strategic focus for Sprint (the other two being building the brand and generating cash). Our focus on the customer is paying dividends. For instance, since the first quarter of 2008, calls per subscriber to customer care have been reduced by approximately 46 per cent. And we achieved an all-time low level of calls per subscriber to Customer Care in 2Q 2012. Sprint is number one among all national wireless carriers for customer satisfaction according to results from the 2012 American Customer Satisfaction Index. In addition to ranking first among national wireless carriers, Sprint was also the most improved company in customer satisfaction, across all industries, during the last four years, according to the survey. Also, since the beginning of 2011, Sprint and its prepaid brands Boost Mobile and Virgin Mobile USA have earned nine J.D. Power awards, including awards for customer service satisfaction and purchase experience satisfaction. Your network is unusual in that you run multiple technologies. What are the timescales for running each one and what kind of challenges does it throw up? Through Network Vision, Sprint is simplifying its network structure. Network Vision is rolling out LTE and enhanced 3G service nationwide and expects to largely complete it by the end of 2013 — two years sooner than originally scheduled. At the heart of Network Vision are multi-mode base stations consolidating multiple network technologies into one seamless network with the goal of increasing efficiency and enhancing network coverage, call quality and data speeds for customers across the United States. At the same time, we are decommissioning the iDEN network. We are pleased with our retention of Nextel platform subscribers. In the second quarter of 2012, 60 per cent of customers who left the iDEN network went to the Sprint postpaid platform. While we continue to deploy CDMA and LTE using the PCS spectrum, we are repurposing the 800MHz spectrum that was being used for iDEN, to support CDMA and LTE. We are also working closely with Clearwire to integrate and support LTE within the 2.5GHz spectrum. We are converging towards support for CDMA and LTE. There has been successful downward pressure on roaming charges within the EU – is roaming outside of the US an issue for you? As we look to the future with the increasing availability and coverage with LTE, there are some technical challenges related to LTE roaming. One relates to the number of bands being deployed and the physical limitations that can be supported on a device. The service provider industry will need to work collaboratively to harmonize and consolidate the number of bands defined. Is there enough innovation occurring in the mobile network industry? Can you provide some examples? I continue to be surprised at the level and the extent of the creativity in this industry, the many other business models it enables and the value which is unlocked and created. The challenge with many new innovations with an eye towards future success in the mobile industry is the lack of a sustainable operating business model. Many start-ups look to achieve a quick return on investment through an acquisition and this approach is often inconsistent with our business model where we are looking beyond quick hit deals. LTE, a radio access technology used to support only data access, was developed to carry all services as IP applications over an all-IP network, from mobile devices to the IP world. With this all-IP network deployed, mobile operators are migrating their existing services, such as voice and SMS, into an all-IP implementation in order to offer better quality voice services and make the most efficient use of the LTE spectrum compared to the legacy 2G and 3G voice. 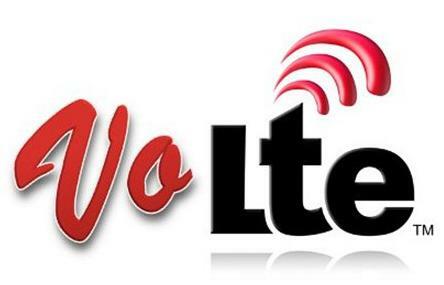 Voice over LTE (VoLTE) is VoIP over LTE under the IMS framework. VoLTE was first introduced in 2010 by the GSMA, with detailed specifications of IMS for voice and SMS defined in GSMA PRD IR.92. Included in this definition is the Adaptive Multi-Rate Wideband (AMR-WB) protocol which allows for High Definition (HD) voice. It is used for superior sound quality over legacy standard voice protocols. Since HD voice can only be supported in an IP network instead of a TDM network, it has become a key differentiating feature for VoLTE in comparison to other voice services. The benefit of offering VoLTE is not only to make it possible for mobile operators to offer better quality voice services, but also as an enabler allowing them to expand to other services such as rich communications, while at the same time making efficient use of spectrum for voice services and saving extra capacity for data services. By combining data and voice services on the same LTE data access network, mobile operators are able to integrate network resources, optimise network and service management, and simplify service delivery, resulting in a significant reduction of OPEX. In addition, the introduction of VoLTE enables mobile operators the capability to offer other innovative services, such as those from unified communications, social networking, and Rich Communication Suite. Further, VoLTE implementations can also be a strategy for mobile operators looking to distinguish themselves from Over-The-Top (OTT) players. The first step for mobile operators is to deploy their VoLTE services for their domestic markets, followed by the interconnection between mobile carriers for the international markets. Besides VoLTE interconnection, VoLTE roaming is also a new area to be addressed. VoLTE roaming can be implemented using a local breakout approach just like today with voice roaming in TDM. We may also see that some operators start with VoLTE using home bound routing similar to today’s data roaming. One implementation option defined by GSMA is to use IPX as the recommended infrastructure platform to VoLTE interworking and roaming, with the key components of the IPX platform containing QoS IP transport, Diameter Agent and SIP Proxy. 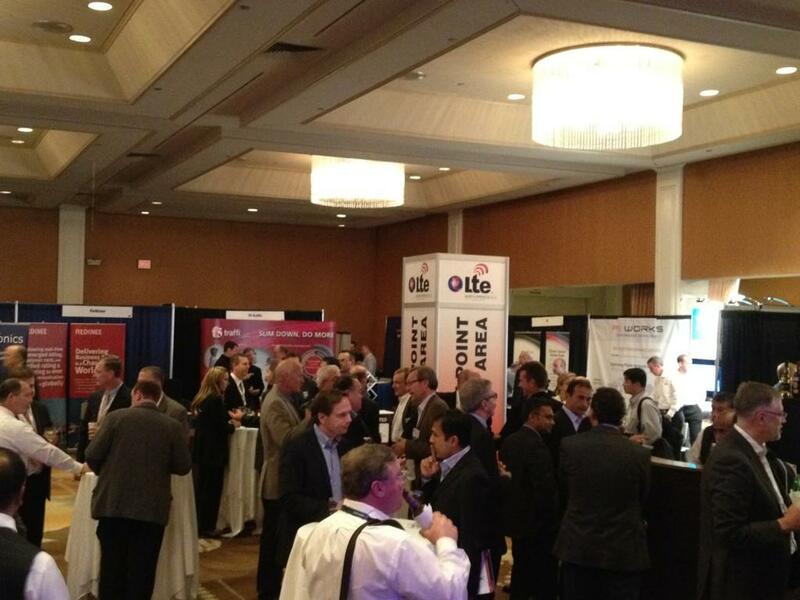 The LTE North America 2012 conference is taking place on the 14-15th November 2012 at the Fairmont Dallas Hotel, Texas. Click here to download a brochure. 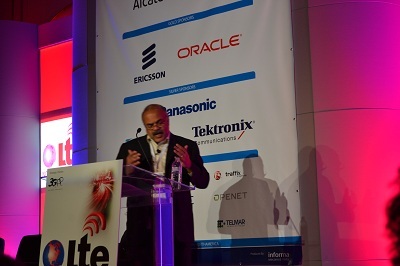 Put the date in your diary now for the inaugural LTE Voice Summit, taking place in London on the 23rd-24th October 2013.